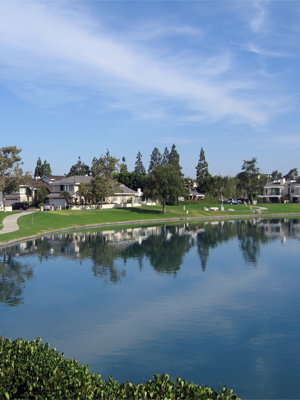 A highly regarded school system, well planned residential community, and access to excellent jobs are just a few of the reasons why CNN Money voted Irvine as the 4th best place to live in the U.S. (2008). Since its incorporation in 1971, the City of Irvine continues to attract residents and boasts a population of approximately 215,000. Many have chosen Irvine for its remarkable school system. All 4 high schools have consistently made Newsweek’s list of Top 1,300 U.S. Public High Schools. It is also home to the prestigious University of California, Irvine. Irvine’s 70 square miles is divided into several residential villages, each offering a unique architectural style. Whether it’s the Tuscan architecture of Portola Springs, the Tuscan Ranch homes of Shady Canyon, Northpark Square’s Spanish Mission, or University Park’s California Modern homes, one can surely find a village to call home in Irvine. Given all that Irvine has to offer, it’s easy to see why Irvine is one of Orange County’s most desirable places to live.